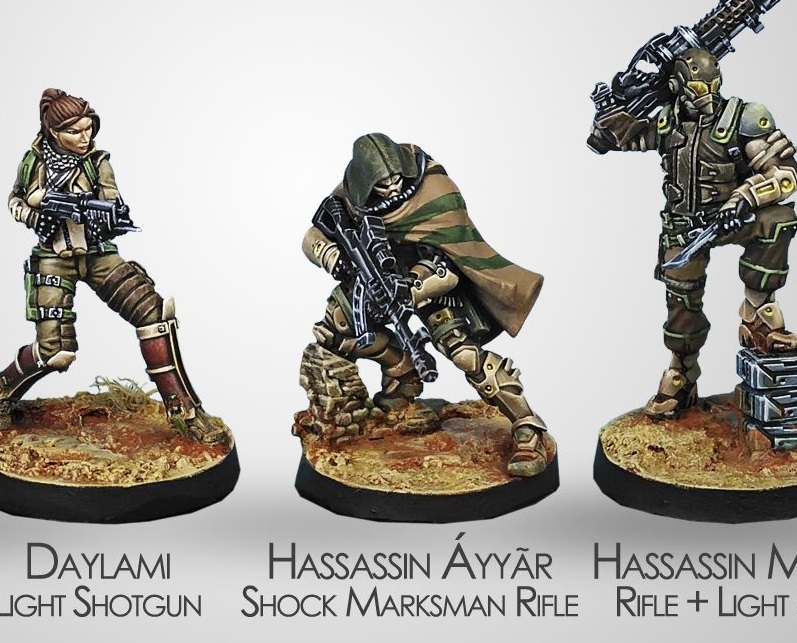 The Hassassin Society is characterized by its surgical operations, precise and spectacular actions carried out by specialists who possess the best intelligence given to them by the higher wisdom of the Old Man of the Mountain, supported by a wide network of faithful agents and informers. Wherever a threat to the Search for Knowledge appears, a Hassassin will appear to eliminate it. But not everything is so simple because there are always places that are out of reach of their network of sympathizers. And those places tend to be the most dangerous in the Sphere. Lawless areas, border territories, unstable regions. However, this does not mean that the Hassassin Society will leave them aside. They simply need a different type of operative, an agent capable of undercover operations without an intelligence network, who collects its own information and is capable of mounting its own operation without support if necessary. 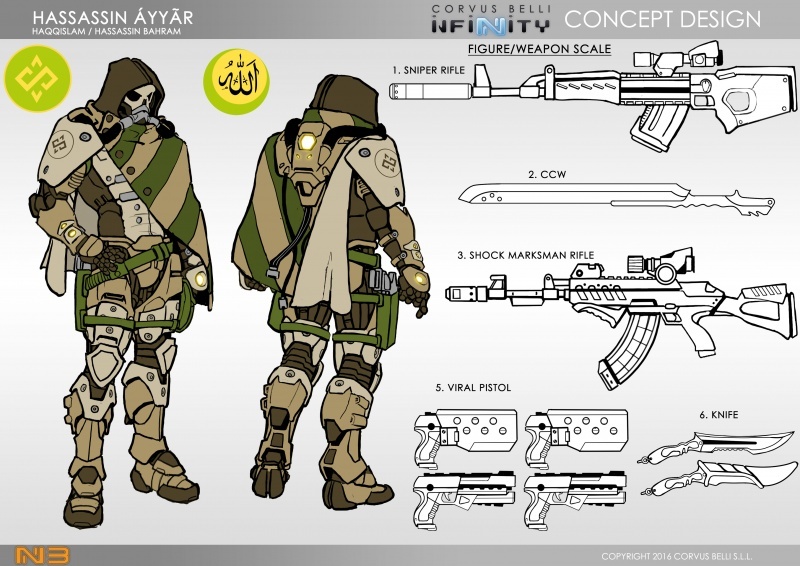 A lone wolf, an Áyyār. The name means “vagabond” in Persian, a nickname that was also given to certain warriors who were involved in the most volatile periods of Persian history. But today this name has acquired new meaning. For the enemy, the Áyyārun are nothing more than a rumor. Stories circulate about a dark agent who has never been caught on any camera. A quantronic distorter guarantees that his presence is never recorded and that the only records that remain of his interventions are the stories told by the few survivors who were left to spread the legend. The Hassassin Áyyār know that it is easier to survive if you are not a person; it is simpler to stay alive when you become a myth, because myths are impossible to kill. This page was last modified on 3 April 2018, at 07:55.